Adding to their long line of luxurious aircrafts, Italian aerospace company Piaggio Aero recently launched their newest addition—the Avanti EVO. Blending together faster climbing speeds, reduced noise levels, lower fuel costs and a greater flying range, the Avanti EVO showcases true Italian craftsmanship and refined elegance. Debuted as the fastest turboprop the world has ever seen, the Avanti EVO surpasses 400 KTAS, or 400 knots true airspeed, making you arrive to your destination faster than flying on a similar sized aircraft. 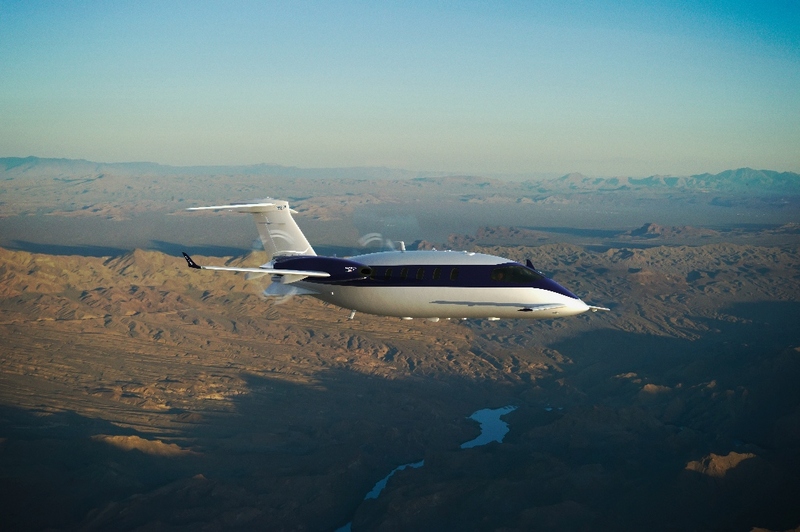 Although the Avanti EVO dominates in high speeds, Piaggio inventors aimed to make the EVO fly as one of the greenest jets as well. Because of its efficiency, the Avanti EVO classifies as a light aircraft, only burning 100 gallons per hour as opposed to 400 gallons per hour like a heavier jet in its class would. The cut in carbon footprint allows the Avanti EVO to transport you from destination to destination without causing harm to the environment, all while cutting down your overall fuel expenses. To make all your flights safer, the Avanti EVO includes a three lifting service, which reduces drag and complies with EASA CS-23 and FAR Part 23 standards. Piaggio Aero even compiled a control center filled with trained specialists—which runs 24/7, 365 days per year—to ensure that your problem can be fixed at any moment’s notice. While the Avanti EVO is a completely different line within Piaggio Aero, the company’s focus on aesthetics have not changed with this model. The EVO features a sleek outer-shell, an inside cabin measuring 5-feet-9-inches tall and about 6-feet wide, Poltrona Frau leather interior, an air conditioner, a ventilation system and connectivity services. Since each consumer has different taste, Piaggio created five different floor plan layouts to choose from, each maximizing the use of the extra space within the jet. Because of the large cabin, the jet can seat nine passengers comfortably. The newly added scimitar propellers also cut down noise levels, making the Avanti EVO perfect for business trips. With aircraft range reaching about 1,979 miles, you can now fly elegantly, strongly and efficiently with fewer stops. To check out the Avanti EVO in further detail, please click here.